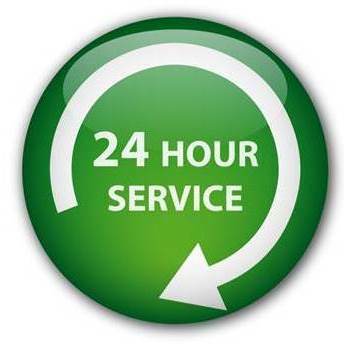 Comtel Technologies' Technical Service Team is on call ‘24-7-365’ and are available at any time, day or night, to undertake maintenance or repairs on our systems. We offer installation assistance to contractors for our core product lines (Intercom, P.A. and Nurse Call) seven days a week. We understand that many Electrical, Security and Communications Contractors are not specialists in our systems and for those in need, we are available for on-site technical assistance. Comtel Technologies have a dedicated Technical Service Team available for After Hours Emergency Service. We understand that, for many of our clients, the need to be fully operational and maintain functional systems 24 hours a day, 7 days a week, is a critical aspect of the service they provide. Whether it is a temporary 'band-aid' solution that keeps a facility functional or replacement of mission-critical components, Comtel is able to keep you and your facility on track. We offer Service Maintenance Contracts for Hospitals, Aged Care Facilities, Nursing Homes and Hostels that provide for agreed site attendance and system down-time schedules for contract holders and their facilities. Maintenance Contracts outline strict guidelines and details for the provision of support and services. Contract holders are offered reduced technical labour rates and access to our ‘24-7-365’ Technical Service Team. 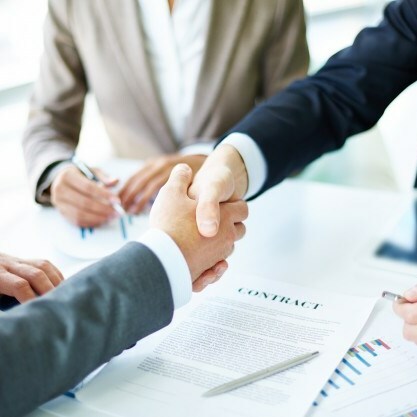 The agreements cover remote support, where we will endeavour to rectify your problem or system issues remotely, either over the telephone or with remote PC access to your system (where available), thereby reducing maintenance costs to our clients by minimising after-hour site attendances. Comtel Technologies are Victorian Service Agents of Aiphone intercom equipment. As a brand with which we have more than 40 years experience, our library of Technical Service Manuals, equipment modification options and installation manuals encompasses virtually the entire Aiphone product range. 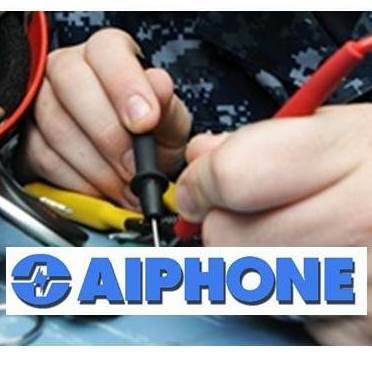 Aiphone's exemplary availability of spare parts and components, even for superseded models, means that we are able to repair almost any Aiphone system. Our combined experience and exposure to many different product lines enables us to offer a consultation service to discuss and provide advice on the many differing applications that our product range covers. We have meeting facilities and a showroom at our premises in Fairfield (VIC) where you and/or your clients can visit with our staff to discuss the communication requirement and desired outcomes. Demonstrations of many of our systems can be arranged, either in-house or on-site. 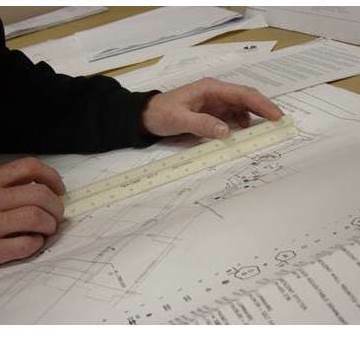 We conduct reviews of Building Plans, with regard to the observance of the BCA (Building Code of Australia) in relation to our product lines and AS3811 (Australian Standard for Nurse Call Systems). Our in-depth knowledge of Nurse Call systems are their ancillary products and AS3811 means that we are in the best position to provide feedback and trouble-shoot building design in relation to patient care, OHS and efficient use of staff. Our System Design Service is available for: End-Users; Architects; Engineering & Security Consultants; Builders; and Electrical, Security, Data & Communications Contractors. Come to us with your requirement and, thanks to our technical expertise and access to a wide range of quality products, we can design a product solution to meet or exceed your requirement. 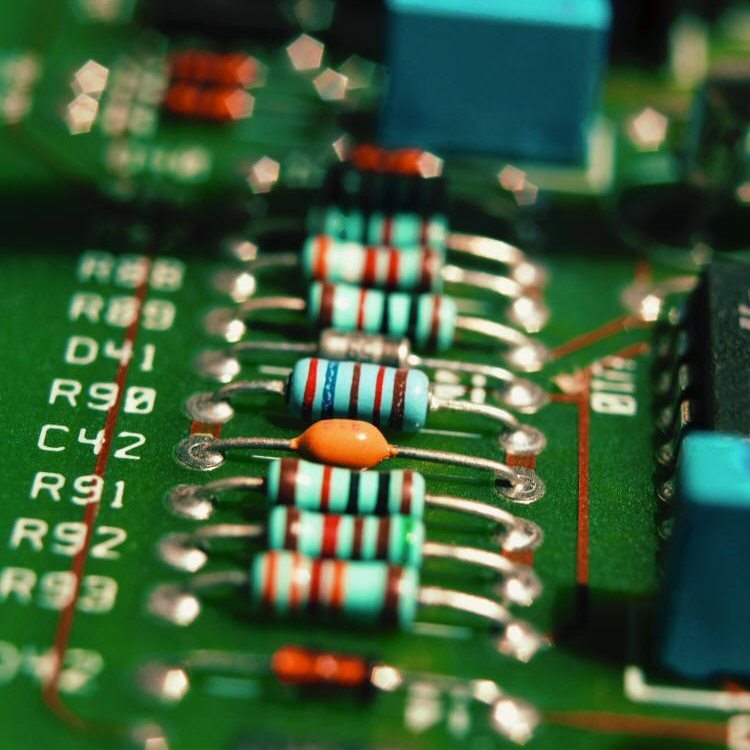 We have an in-house design and construct service available for custom manufacture of electronic systems to meet your special requirement.. The majority of systems we have built are for some type of electronic audible and/or visual indication when a particular activity occurs - annunciation. Utilising the vast pool of products available to us, we are able to offer custom solutions for a variety of applications. One such example is the construction of a 'Dog Couch Alarm'; a high pitched sounder activates whenever a dog jumps up onto the couch or bed. We have designed systems whereby pressure mats are activating buzzers and/or strobe lights. We have created vandal-resistant doorbells (for a regional bank) and wireless panic alarms (for nursing staff), among other custom requirements. If you have a requirement and cannot seem to find a suitable 'off-the-shelf' product, contact Comtel to discuss your requirement. Comtel technologies produce custom integrated panels to meet your specific desire or aesthetic requirement. We have produced some very eye-pleasing results for our clients utilising a wide range of intercom systems and have custom manufactured multi-user or apartment intercom entry panels to meet demands for panels with more robust components than those available in ‘off-the-shelf’ intercom panels – e.g. vandal-resistant call buttons on stainless steel panels. We provide our custom panels and a range of ‘standard’ panels for Aiphone intercom door stations in a variety of finishes such as stainless steel, brass and powder-coated colours. Panels can be fabricated with options such as access control keypads or proximity readers, custom engraving, mail slot and newspaper recepticle. This service includes development of flush mount panels for internal intercom stations, especially the Aiphone JF & JP series colour video systems. We have also facilitated customisation for equipment from other manufacturers and suppliers. If you have a product you wish to be modified or customised in some way, bring it into our showroom and our staff will happily assess the compatibility with our design principles and advise what we might be able to achieve to meet your desired result. Digital Enhanced Cordless Telecommunications, usually known by the acronym DECT, is a digital communication standard which is primarily used for creating cordless phone systems. The total 'traffic' that is being generated by the cordless phones connected to the system should be in accordance with the capacity of the cordless network. Lack of signal strength can result in calls dropping out; a situation that Aged Care and Health Care facilities really cannot live with. Comtel Technologies test the signal strength of your DECT network to identify any deficiencies in coverage or coverage dead-spots. Induction Loop Systems designed to provide Hearing Augmentation for assisted listening users wearing T-Coil enabled hearing aids are important systems in modern public buildings. 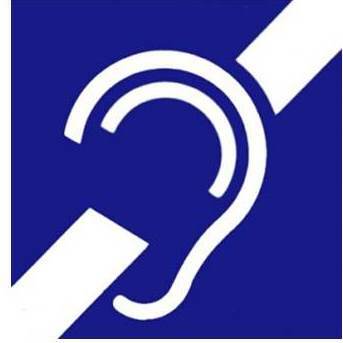 Installed in many Schools, Community Centres, Aged Care Facilities and Nursing Homes, these systems are often forgotten in routine maintenance as those without hearing difficulties are fortunate enough not to have to use Hearing Augmentation or Assistive Listening Systems (ALS). But for those that do, a system that provides essential clarity of sound for intelligibility is paramount. Hearing Augmentation Systems provide quiet, reliable operation and are designed for long lasting performance and simple installation. The Service Team at Comtel Technologies are able to visit your facility and test the audible intelligibility and signal strength of Induction Loop Systems, providing a written report for your peace of mind. With over 30 years experience supplying and maintaining intercom systems, the team at Comtel Technologies are specialists in Multi-Dwelling and Apartment intercom servicing for Body Corporate Committees and Building Managers. We have many loyal Body Corporate Managers that rely on our advice and technical expertise in repairing or replacing outdated or broken intercom systems in established premises. We can assess the possibility of upgrading existing audio only systems to new colour video systems. As the authorised Victorian Aiphone Service Agent, and with Aiphone's unsurpassed reputation for spare parts availability, long after a system has ceased production, there are few Aiphone systems we cannot revive. We understand that replacing an entire intercom system because one tenant is experiencing problems can be an issue for Body Corporate Managers. 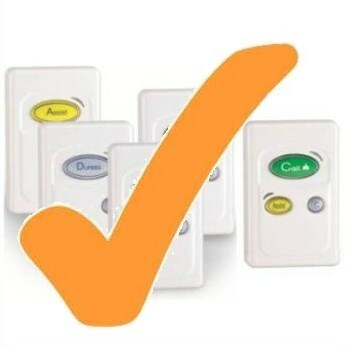 Contact the team at Comtel to find out if your existing apartment intercom can be saved. Aged Care and Health Care facilities should regularly and routinely test their entire Nurse Call System. This is to ensure that their liability is minimised should a problem occur on the system and a call go unanswered. Comtel Technologies can take this problem out of the hands of management and staff by undertaking periodical system testing and provide written reports showing exactly which components of the system may have failed. Our reports provide details of - - How many system call points were tested and which type they are - e.g. number of bedside points, number of ensuite points, number of pendant handsets tested, etc. - What level of functionality, if any, faulty points are retaining - e.g. Call / Cancel station can activate a Nurse Call but call cannot be cancelled by point. 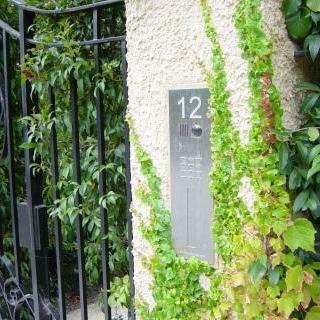 - Over door Indicator function - e.g. working but wrong colour - Annunciator or Display functionality - e.g. All calls from one wing are displaying on correct Nurses Display, but one room show up on a display in another wing. 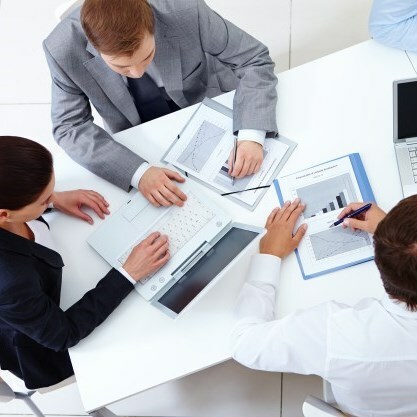 System tests can be arranged ad-hoc based on audits or accreditation reviews and needs, or be conducted on a regular basis at agreed time periods - e.g. quarterly, six monthly, yearly or biennially. Our experience with a multitude of systems over 40 years in the electronics industry, Comtel are able to provide Security, Data, Communications and Electrical Contractors with on-site assistance with installations. We understand that project deadlines do not always allow time for you to learn new systems overnight. And that's where Comtel can help. 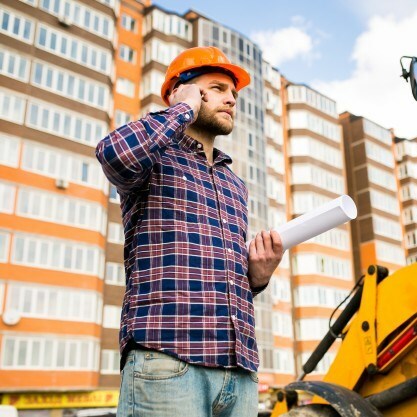 Whether it is putting you in contact with one of our trusted Business Partners, or having one of our dedicated Service Technicians attend to assist, we can provide you with the peace of mind that the job will be done professionally and in a timely manner. Contact Comtel to discuss your project. Have you ever been in a public space or school and heard the chime to signal the beginning of an announcement, only to then hear what sounds like a walrus mumbling underwater? If you are having issues with your Public Address system, do not hesitate to give the Service Team at Comtel Technologies a call. You have received details of an upcoming project and can’t make heads or tails of the consultant’s specifications & plans? Don’t worry; thanks to the thousands of projects with which we have been involved since 1968, we have seen the best and the worst of written specifications (No offence Consultants!). We have up-to-date knowledge of the relevant Australian Standards and Building Codes in regard to our products and target markets, and will often deal directly with consultants and their clients to obtain in-depth knowledge of exact requirements and desires. TOA was founded in Kobe, Japan in 1934 as a commercial audio system manufacturer. Since then, TOA has been manufacturing and marketing sound amplification equipment including microphones, amplifiers and speakers. In response to the post-war democracy movement and active election campaigns, TOA created the world's first transistor-based megaphone and Japan's first reflex horn speakers. These products represent the foundations of the company's present success. With the period of rapid economic growth in Japan, emergency broadcast systems, which are commonly used in office buildings, became the main focus of their business. 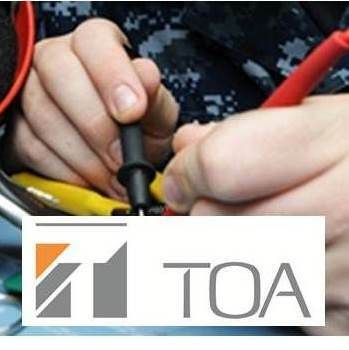 TOA manufacturing facilities have a reputation for precision design and fabrication, resulting in a proven track record of TOA product reliability and longevity. TOA's extensive line of audio products includes amplifiers, speakers, mixers, wireless microphone systems, digital processors and network audio. Security products include CCTV cameras, DVRs and integrated intercom systems used in security and communications applications. Comtel Technologies can carry out workshop repairs to TOA equipment. 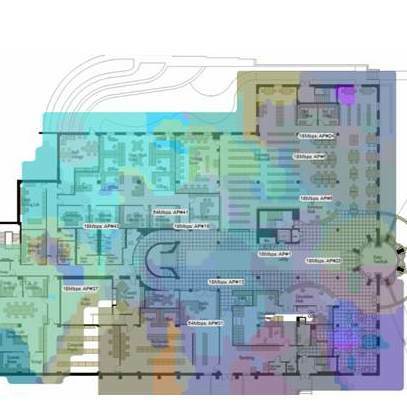 A Wireless Site Survey is used to measure the performance of a planned Wireless LAN (WLAN) to accurately determine its coverage area within its live setting. Differences in building structures and the placement of fittings and furniture make the performance of a Wireless LAN at each site unique. During a physical site survey, likely Access Port locations are identified and an operational temporary Access Port is installed in these locations. The Access Port is not connected to the existing data network during the survey. By measuring the performance of the Access Port, the coverage area for each likely location can be determined, allowing for the optimum placement of the Access Point to be recommended for future installation. Existing network cabling and equipment cabinets are noted to identify cabling requirements to support the recommended Access Ports and also to ensure there is sufficient cabinet space and active equipment to support the installed WLAN. Comtel Technologies can provide Wif-Fi Network mapping for proposed or existing Wi-Fi Networks to ensure that your facility or premises will have the coverage required for a workable Wi-Fi solution. Contact the team at Comtel to find out more about Wi-Fi Network Mapping. 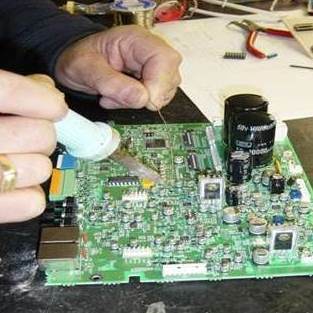 Our Service Department is capable of undertaking repairs to a wide range of electronic equipment. 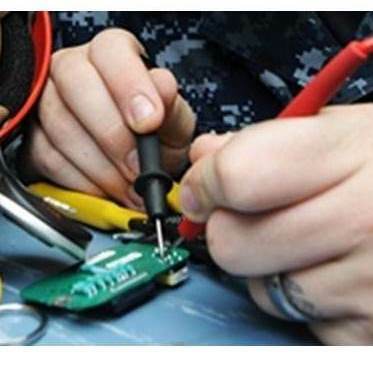 We routinely repair dropped DECT Handsets, broken Nurse Call Pendants, squashed Patient Bedside Pendants, insect infested Intercom equipment, over-driven Public Address amplifiers and Megaphones that have 'somehow' had the microphones curly-cord chopped. Schools, Rowing clubs, Nursing Homes and Hospitals all know how important it is to have damaged equipment repaired in a timely manner - Comtel Technologies are here to help.